From the publisher’s description: Pilar loves to dance. She pliés while brushing her teeth. She leaps when hurrying to ballet class. But when tryouts for her favorite ballet are held, Pilar is anxious. Auditioning makes her whole body feel scared. 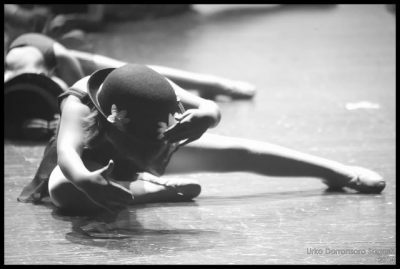 But by using some of the coping techniques she’s learned and focusing on her love for ballet, she is able to persevere. This gentle story is a great tool for children dealing with anxiety. Author Victoria M. Sanchez’s debut picture book, Pilar’s Worries, with charming pictures by illustrator Jess Golden, tackles a subject that is common to children but especially true for dancers and other kids who pursue the performing arts. 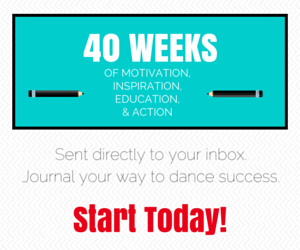 If you’re a dancer or a parent of one, you know the fears that accompany auditions – some of those fears we never outgrow! For young Pilar, the anxiety she experiences is not limited to ballet: she feels stressed when she’s called upon in class, or if she forgets a library book that is overdue. Her friend from ballet, Sebastien, and her mother both remind Pilar to breathe, and when she does, she feels better, her inner tension alleviated. She gives herself pep talks and tells herself how much she loves to dance and how good she feels when she’s dancing in her Friday class. But now there are the auditions for the Winter Wonderland dance performance. While she would dearly love to be a snowflake on the stage with Sebastien, Pilar is nervous about messing up the steps in front of other people. The night before the audition, she tells her mother how worried she is and her mother assures her that if she doesn’t try out this year, she can always do it next year. Unable to sleep, Pilar arises in the middle of the night and dances in her room. This is what she loves! To dance and spin! To express herself through movement! She wakes up refreshed and ready to audition, much to her mother’s surprise. ~the use of breathing to help Pilar relax and refocus her attention is a technique dancers are encouraged to use because of its effect on their muscles. Turns and jumps can’t be executed properly if the muscles are too tense. So if the muscles that move our arms and legs can be helped with breathing, why not our brain? ~lots of young dancers feel pressured by a parent to be the best without regard for their inner turmoil and this can contribute to anxiety, but Pilar’s mother places no such demands on her daughter. 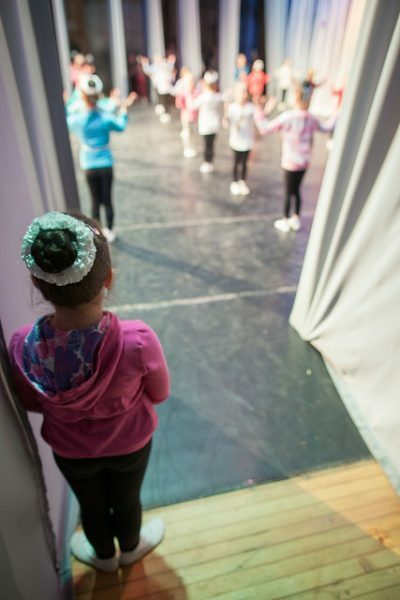 Parents of dancers can learn from this too: their kids might be experiencing anxiety but by allowing them to pursue dance in their own way and at their own pace, ballet will be a source of pleasure and not stress. The Author’s Notes at the end include resources and links for parents; Sanchez writes that an estimated 10% of children experience anxiety which is an incredible figure. If parents can read this adorable picture book with their kids – whether a child dances or not – they can hopefully initiate a conversation with them about their anxious feelings. For some, it may be just an occasional worry while for others, it may be affecting everything they do. Jess Golden attended Rhode Island School of Design, where she graduated with a BFA in Illustration. She lives in Massachusetts with her husband and dog. She can be contacted through her website. 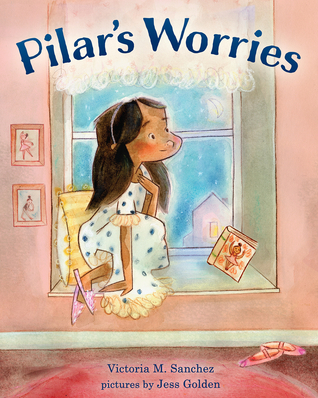 PILAR’S WORRIES can be purchased as hardcover or e-book from Amazon or through the publisher, Albert Whitman & Company. Leigh Purtill is a ballet instructor and choreographer in Los Angeles where she lives with her husband. 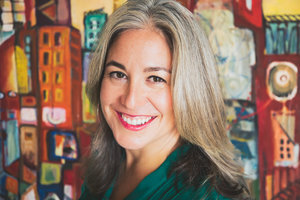 She received her master’s degree in Film Production from Boston University and her bachelor’s in Anthropology and Dance from Mount Holyoke College. She is the author of four young adult novels from Penguin and HarperCollins. She currently teaches all levels of ballet to adults. Zombie ballet is her passion. She is the artistic director of the Leigh Purtill Ballet Company, a nonprofit amateur ballet company for adults.